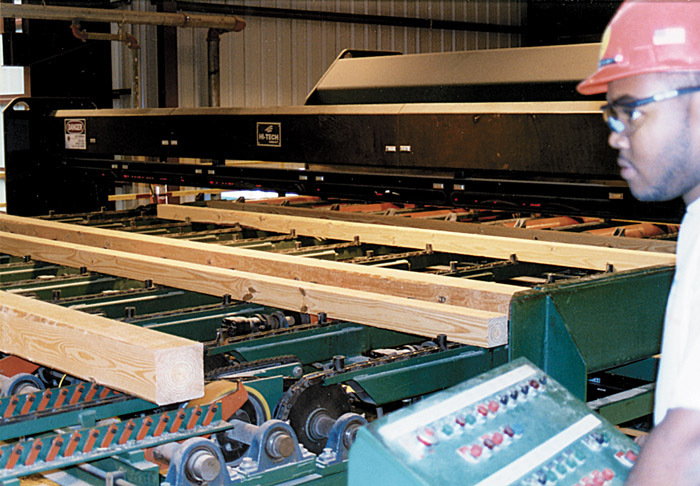 Timber Processing’s November/December issue features Rocky Creek Lumber Co., which is quietly starting up a Greenfield timbers sawmill in Mexia, Alaska. Founded by timbermen, today’s Owego, NY still has a strong timber industry, which meshes well with new industry and the arts. Also, U-Cut Enterprises offers its sharpening expertise to sawmills in the northern U.S.
Willamette Industries lost its long-time public voice on November 6, when Cathy Baldwin Dunn, Vice President of Communications, died at Providence Hospital in Portland, Ore. after a long battle against cancer. Dunn, 54, was a 23-year employee who joined the Portland-based company as corporate communications manager in 1978. She was named vice president in 1997. A native of Ohio, she began her career in 1973 as an information officer with the Oregon Dept. of Forestry, then worked as information director for the Oregon Forest Industries Council starting in 1976. Any company or business that’s closely allied with the pulp and paper industry is hurting these days, struggling with global over-capacity and seemingly chronic low prices. Yet here in southwest Alabama, such pulp and paper market dynamics, driven primarily by the strategies of major multinational corporations, have combined to create a sweet opportunity for the recently-founded Rocky Creek Lumber Co. Mill. 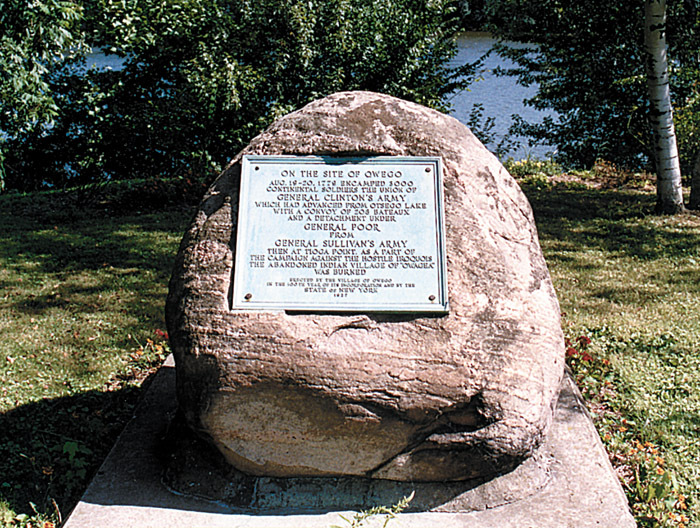 When Floridian James McMaster first laid eyes on this area, he was here to wage war against Native Americans allied with the British. When he returned, he built a sawmill. Tioga County is still home to a vibrant sawmill industry and likely produces more hardwood lumber than any other county in New York. Owego is more than just a timber town, however. It is a blend of old and new cultures, past and present economies, all draped in a rich, historical setting that also happens to draw a significant artistic community. 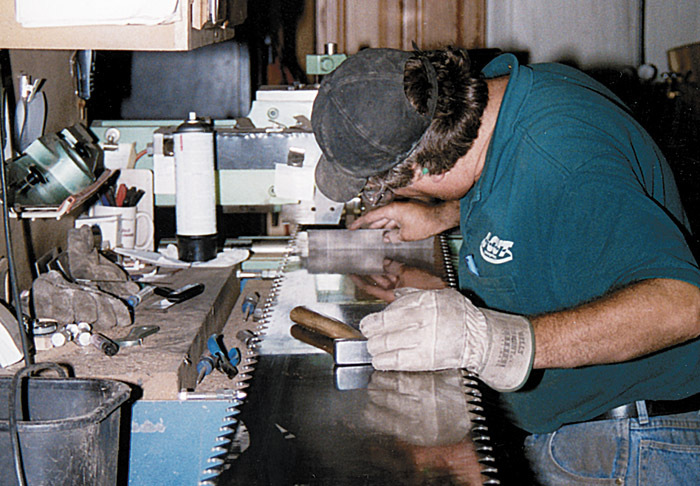 B&B Lumber couldn’t get a consistent sharpening job performed on its band saws. The frustration finally motivated the company to invest in the equipment to do it itself in 1993. 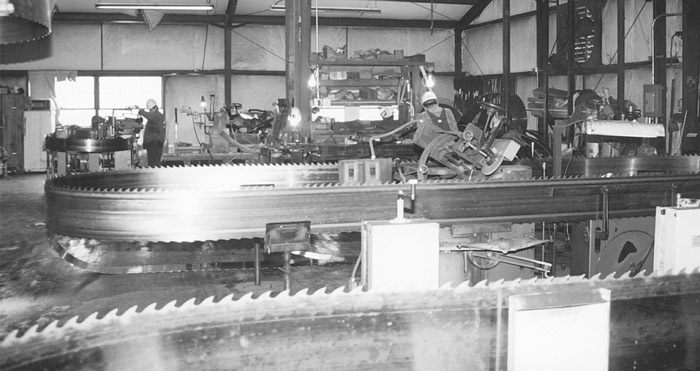 U-Cut Enterprises grew from that investment and today serves 25 sawmills in New York, Pennsylvania and Vermont. 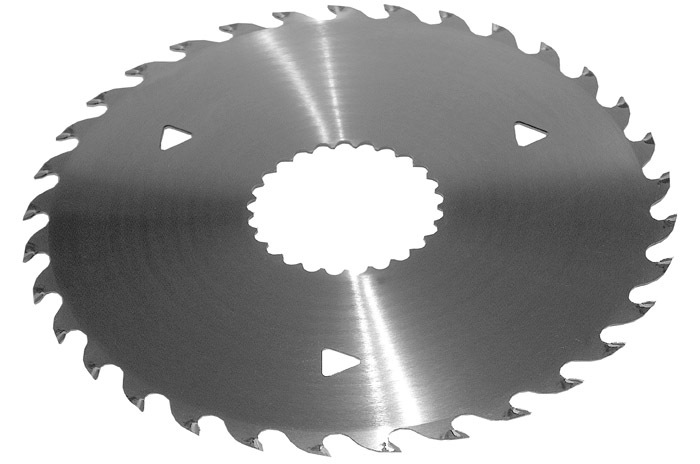 U-Cut is a specialty saw filing service, co-located with B&B Lumber (see opposite page), that provides sharpening of circle saws, knife grinding and a full life-cycle of maintenance for band saws, particularly tipping with carbide and Stellite. 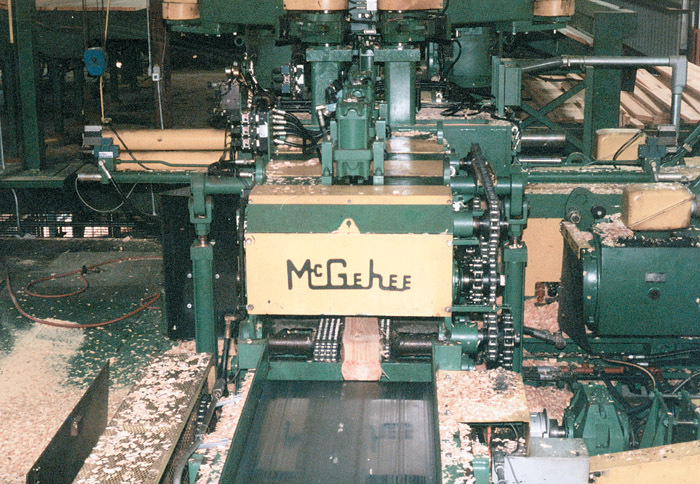 Lots of mills, particularly in the hardwood lumber business, have made the change from circular headrig saws to breaking down with bands in the past few years. Many others are wrestling with that decision right now. This transition is the most important decision many of these mills will ever make. Mills that make this dramatic changeover effectively never look back; mills that do it badly are not likely to survive; and for the majority in the middle it will test their resolve. Long, long ago, before optimization, there was only one kind of tree in sawmills: Big Trees. The Big Trees were cut up by big saws with big kerfs into boards with big target sizes. But, trees were cheap, so nobody worried too much about efficiency. Until the Big Trees all went away... Then came Small Trees and Optimization. Which came first is a philosophical question, similar to the Chicken or the Egg, but I tend to believe that Small Trees were always there, but no one could see them.